Wedding is not only the happiest, but also a troublesome time in every girl’s life. Need so many things to do: find a cafe or restaurant, make a guest list and send invitations, choose the outfit and not to forget about the shoes. And the last part plays an important role, especially during the cold season. 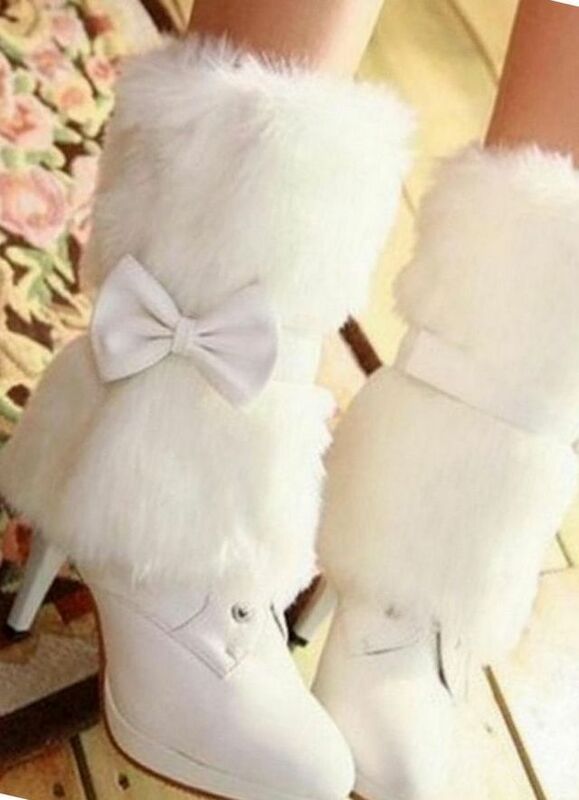 If it’s winter, a great alternative to shoes will be a stylish boots for the wedding. When choosing, pay attention not only to their beauty but also functionality. 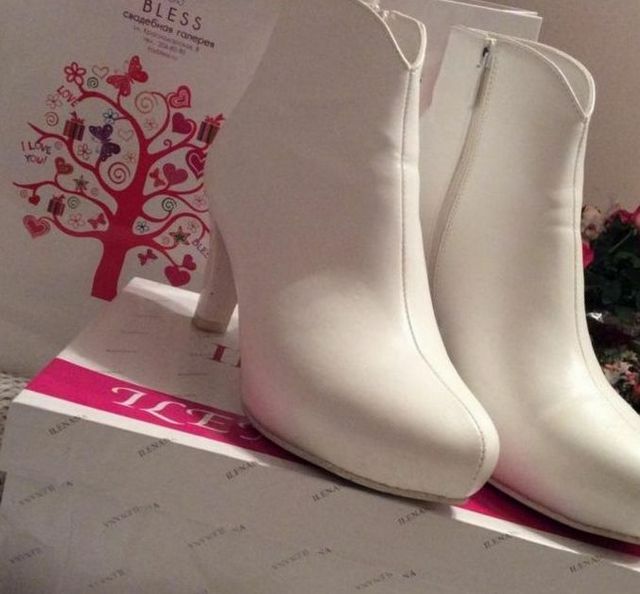 What white boots is better to choose for a wedding? 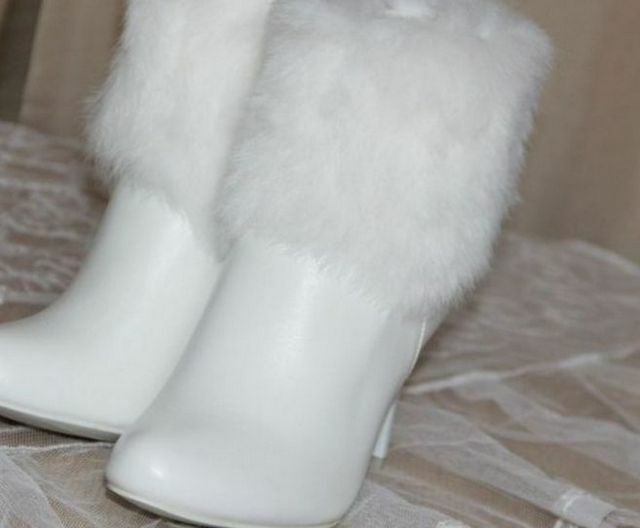 If the celebration is held in the cold season, the ideal option would be boots white. Gentle, delicate dress of the bride looks glamorous and eye-catchy combined with the shoes. Due to the wide range of models of boots, every bride can easily create an elegant and refined, elegant and creative way. 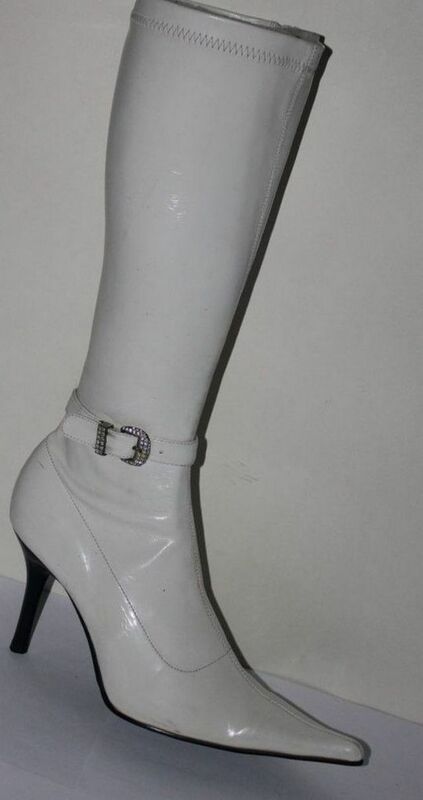 It can be short or long boots, leather, fishnet, high heels, chunky heel or flat shoes. Pick the shoes to suit the style of wedding dress and your own taste. Wedding in Victorian style is the decor of the Banquet hall in pastel hues, diluted with bright accents (gold, blue, red). Dress young it is advisable to sew to order, and to make it look better to choose massive jewelry, heavy strands of pearls. Invitations it is better to write on vintage postcards beautiful calligraphic handwriting. The bride’s bouquet should be composed of roses, permitted additions from forget-me-nots and peonies. The image of a young perfectly complement the classic white boots in a Victorian style without laces and with a small, comfortable heel (no pain!). these boots are appropriate for almost any weather, in different seasons of the year. 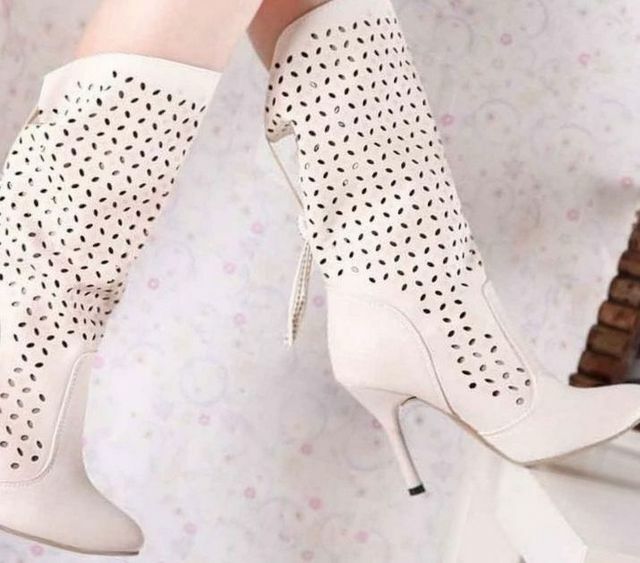 If you want to create a natural yet creative, feminine, sophisticated image, then definitely need to choose the white boots. 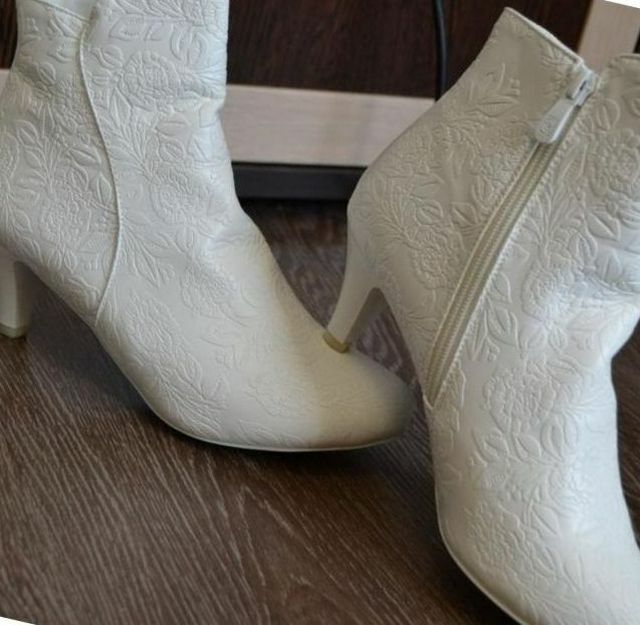 The designers have created a truly unique model of boots that can reliably protect the feet of the bride from the weather. But after the celebration they can be safely worn, as they perfectly match with the wedding outfit and white coat. To look irresistible and to Shine on the photo, chose the lacquer version of boots that stand out not only due to its material, but also texture. 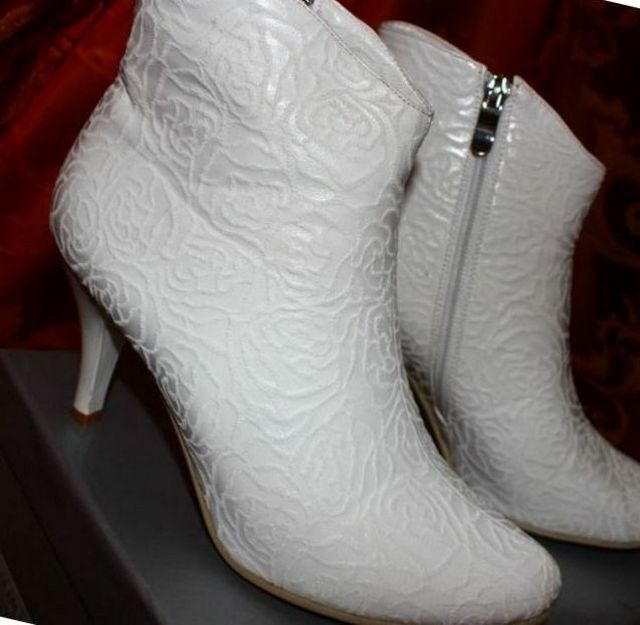 Opting for white boots, you will feel like a Queen, and will spend all day in comfortable shoes. 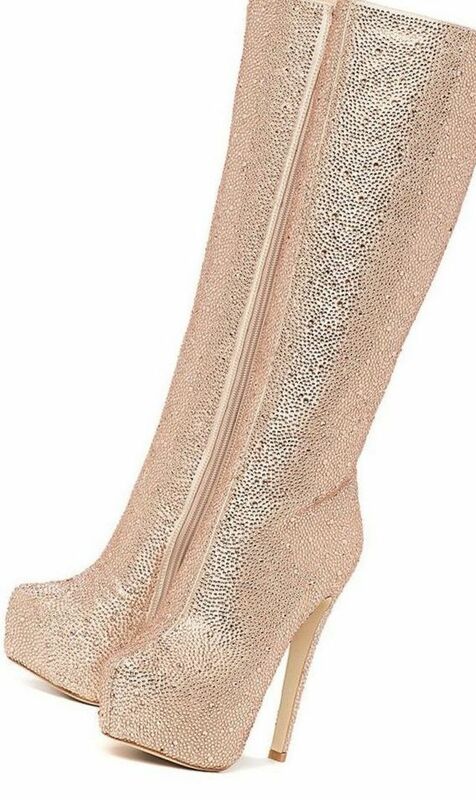 Very interesting look boots with a shade of champagne. 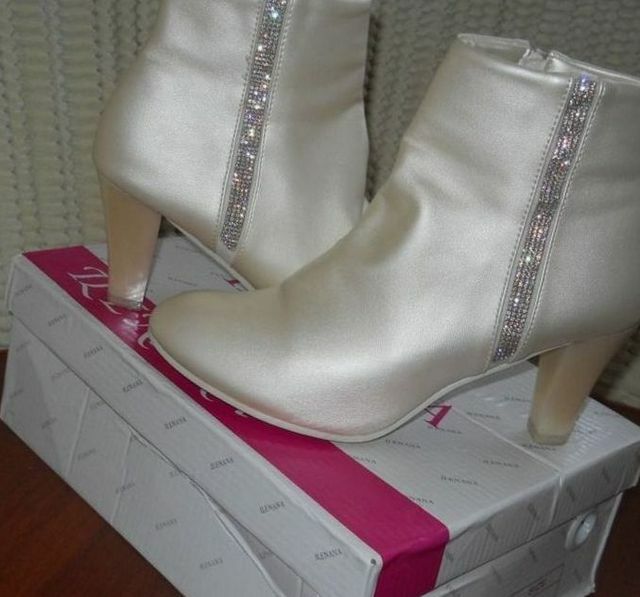 Original, but very beautiful option for the bride – white jackboots to the wedding. As strange as it may seem, this model acquires additional tenderness due to the white color. If you opted for a short dress with a long train, then boots-boots – ideal footwear. They will protect in bad weather, enhance the beauty of slim legs and perfectly complement the gentle image of the bride. The natural choice of many brides – elegant, modern, original and stylish ankle boot without a heel. This model is perfect for weddings especially if the bride is planning to spend all day in boots, not changing shoes in other shoes. This option is completely without a heel, but it does not put the image of the bride to be sophisticated, feminine. Stroll down the street can become a mandatory part of your wedding, because you still have from the registry office to go to a photo shoot, and then at a restaurant. If you do not want a few hours to suffer from severe pain, after an uncomfortable shoes with high heels, is to choose a wedding short boots with mesh and without a heel, perfect for your summer or spring celebration. These shoes you can still wear long after the wedding and reminisce about the happy day. 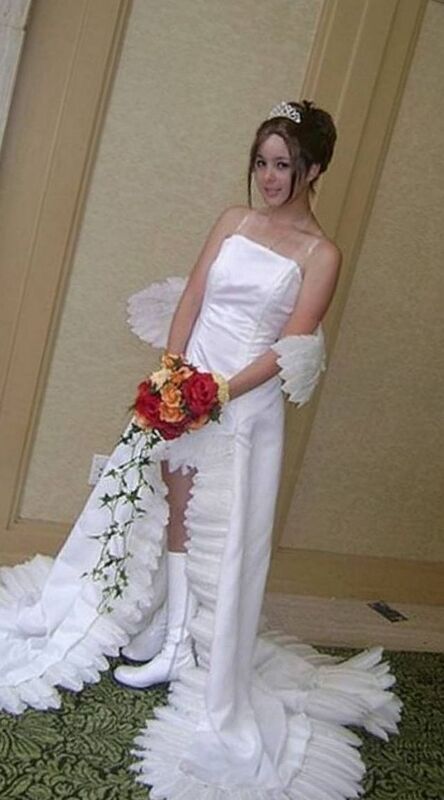 Modern brides often wonder whether or not the wedding choose white lace boots with laces, because they look more like underwear, so you can look vulgar. But this model of boots goes well with short Flirty dress or outfit, made in the Spanish style (short dress with gorgeous long train). 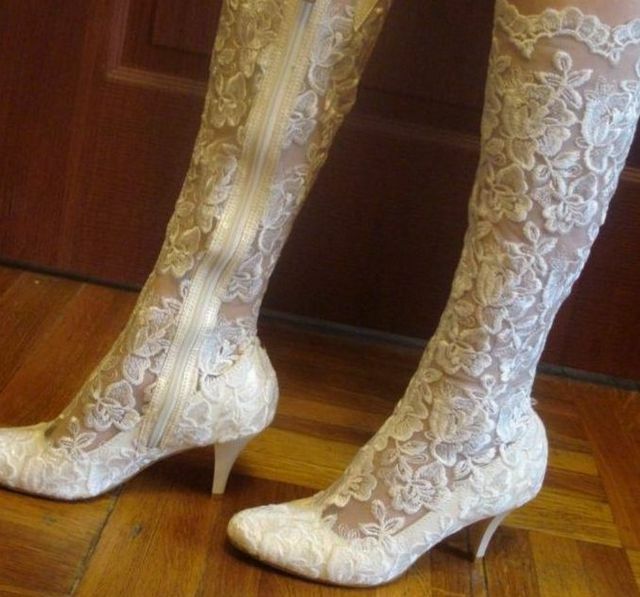 If you chose a long dress, such lace boots better to refuse, because they not only will not be visible, but under the skirt you can feel not very comfortable. 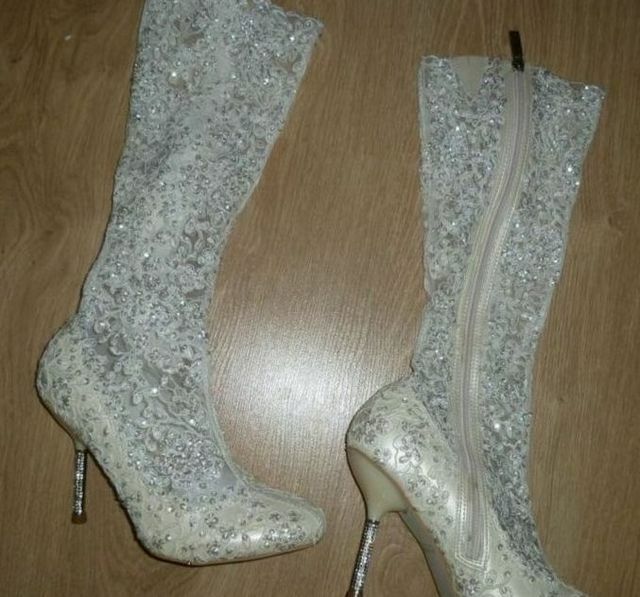 These shoes are suitable for weddings in the summer, and not worry that boots will be very hot. They are made of a special, well ventilated material. This model of shoes can be the length above the knee or mid-calf. Special attention when choosing boots you need to give them color, they must match the shade of the dress. 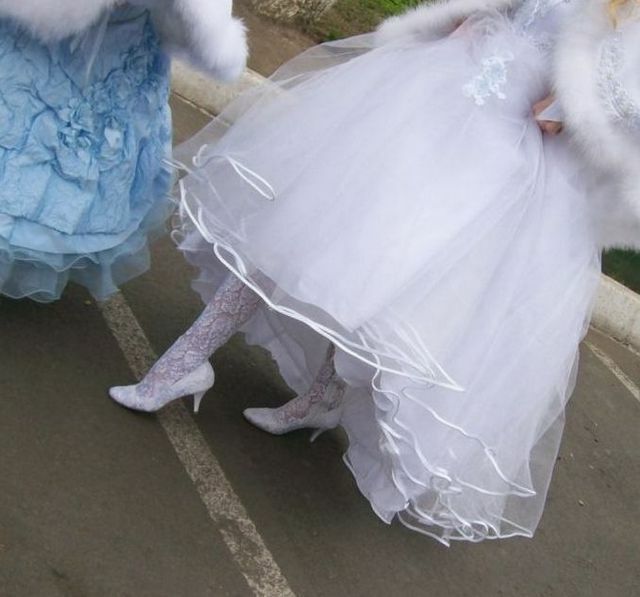 Recently popular game of contrasts – snow-white wedding dress stylists advise to choose the shoes of the opposite color. 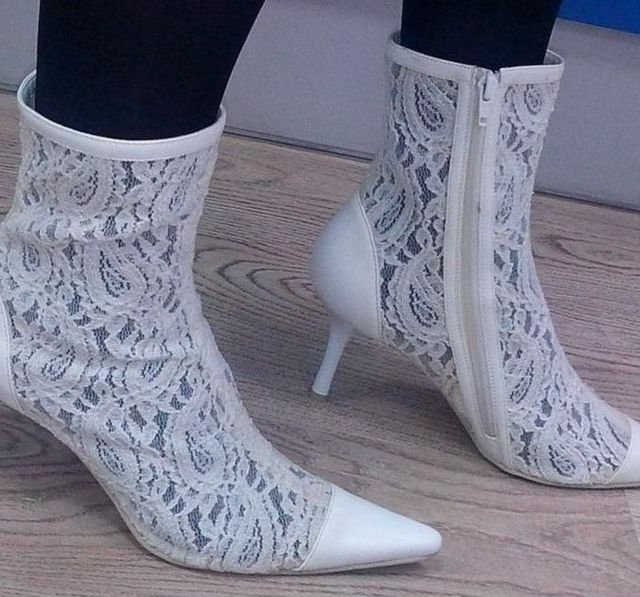 Choosing lace boots, forget it, otherwise can be not just tasteless and vulgar way. Correctly pick up the size of the boots – they must tightly encircle the foot and resemble a second skin. If they are large, as a result the leg begin to get ugly wrinkles, and the whole image will look sloppy. And too small boots will cause severe discomfort, and you’ll be glad you stopped them on their choice. Very elegant and stylish looks of these shoes with laces, but more often used a decorative satin ribbon. 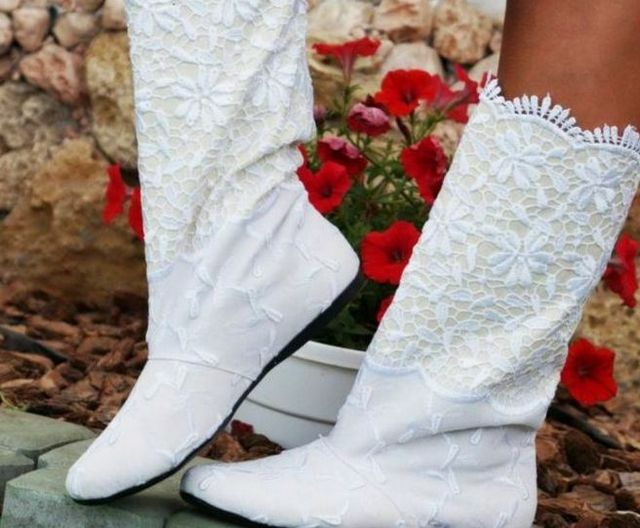 If you decide to celebrate your wedding day in the fresh air, the ideal Shoe for you will be cowboy boots in white. This model has recently become very popular among brides. For its manufacturing quality soft leather or suede, and the heels feature a stylish wedge shape. 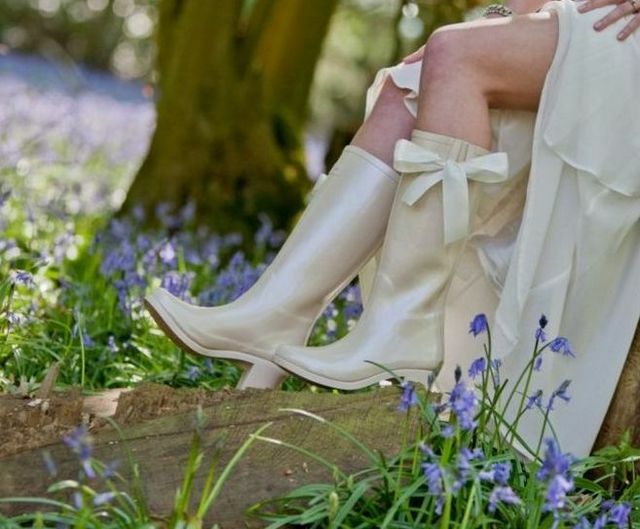 These boots are perfectly combined with a simple, deliberately careless wedding dress, but if you prefer a sophisticated outfit, these shoes do not choose.